Although there are those amongst us who would extol the virtues of these creatures, to a far greater amount of people, snakes quite simply represent the stuff of nightmares. Whether it is the way that they move or those stark, unblinking eyes, they just seem to represent the absolute definition of everything that is dangerous and should be avoided at all costs. There are thought to be around 3,000 different species of snake in the world, covering every conceivable weight and size. They range from the recently discovered specimen that is a mere 4 inches long and as thin as a noodle, to the monster that is the green anaconda. These leviathans can grow up to 28 feet (8.5 meters) with a girth of 44 inches (111cm) and weigh upwards of 500 pounds (226 kilograms). 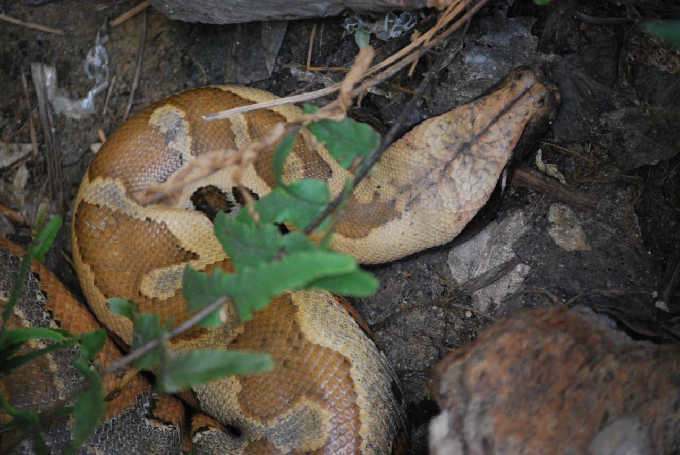 There are many opposing thoughts on what is the most deadly snake, as there are many characteristics to take into consideration, but with that in mind, here are 5 snakes that you would not want to come face to face with. This snake, which is also known as the Fierce Snake, is widely accepted as the most venomous land snake in the world. These reclusive reptiles which inhabit parts of Australia, on average reach between 2 and 2.7 metres long in adulthood and are members of the elapidae family, meaning they have fixed front fangs. Although the fangs are relatively short, they deliver a type of venom that is so toxic, should you be unfortunate enough to be bitten by one, it has the potential to kill you within 45 minutes. The average amount of venom delivered is 44mg, but there has been up to 110 mg recorded, which is more than enough to do some serious damage to any living creature. Furthermore, the venom is so powerful that with one single bite, this snake’s venom would kill 100 humans or a staggering 250,000 mice and is the reason that the snake is also known as the Fierce Snake, not because of its temperament or behaviour. 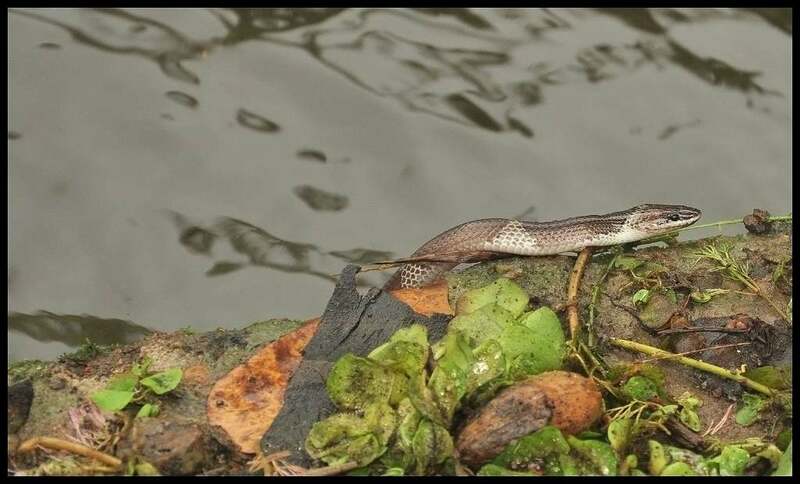 Calling the jungles of the Indian sub-continent home, the Common Indian Krait likes to be close to a water source, which makes encounters with humans almost inevitable. Usually growing to around 2 to 2.5 feet, although they can be reluctant to bite, when they do they will hold on to make sure that they deliver a considerable amount of their deathly venom. 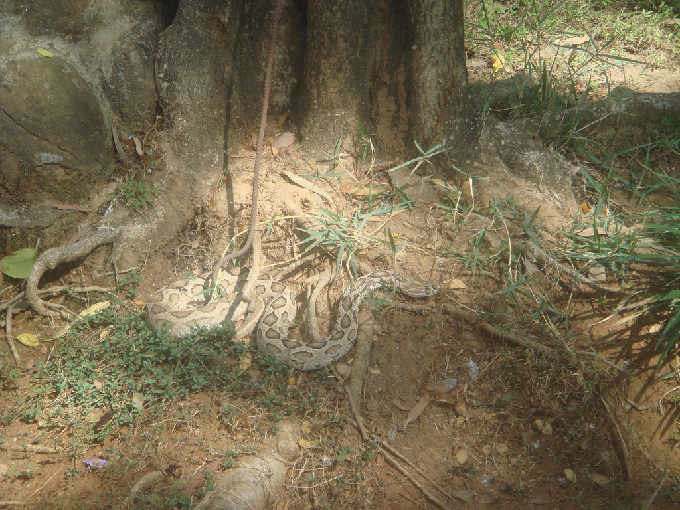 A vast majority of the recorded bites to humans from this snake have taken place during the night when the victim is sleeping and the bite itself causes little or no pain, so many times the victim is unsure if they have been bitten. It can be only when the victim complains of very bad abdominal cramps that they realise what has happened and this is followed by a progressive paralysis as the neurotoxic venom takes effect. Known as the choice of many snake charmers who play their flutes to make the cobra dance, this in itself is odd as the snake cannot hear the music, but simply reacts to the ground vibrations and movement of the flute and charmer. These creatures are the longest venomous snakes in the world and can reach a colossal 5.5 metres (approximately 18.5 feet) in length, which gives them the ability to be able to stand up and look a human square in the face. 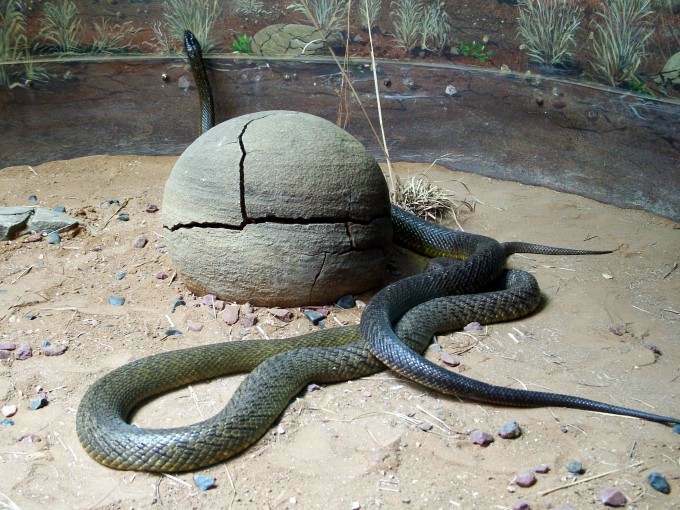 These massive reptiles are the only snakes that will build a nest in which to lay its eggs, which it will guard until the young are hatched. This show of tenderness belies the fact that the venom from the King Cobra carries enough neurotoxin to kill an elephant or 20 humans. The fact that they are just as at home in trees, on land or even in water usually means that it will cross paths with humans, but they will avoid confrontation where possible. 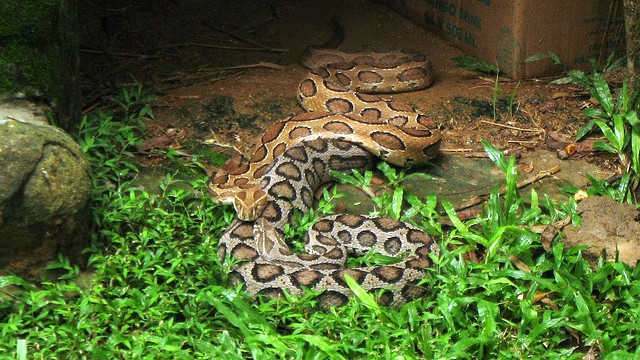 This Russell’s Viper, a snake which on average is around 1.3 metres long (approximately 4 feet) and 15 cm (6 inches) in girth causes more deaths that any other snake in the world, predominantly because of the many areas of Asia in which it lives and the fact that it is a regular visitor to highly populated areas, making encounters with humans almost a regular occurrence. This specimen is what is known by some as a true viper, meaning that it lacks the heat sensing pit organ. They do, however, have long tubular fangs which are more than capable of delivering a lethal dose of their haemotoxic venom which brings about thrombosis and cardiac arrest. Contrary to popular belief, this infamous creature is not black, but normally grey or olive – the black in its name refers to the colour of the inside of its mouth, which it displays when it feels threatened. 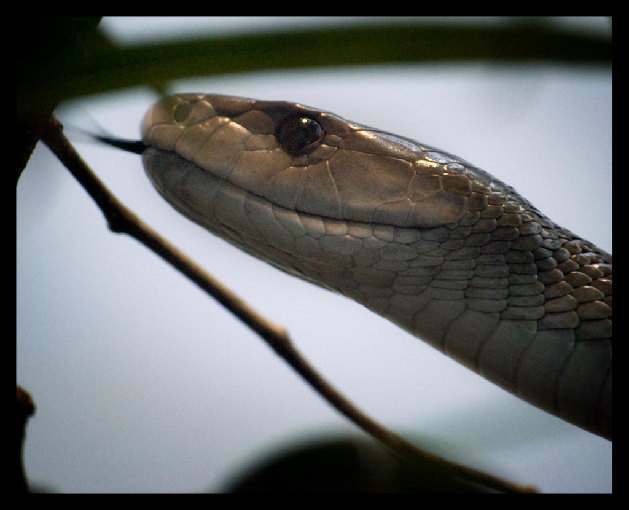 Living in eastern and southern Africa, although, like most snakes, the Black Mamba will avoid direct contact with humans if possible, they will, if cornered, go into attack mode. 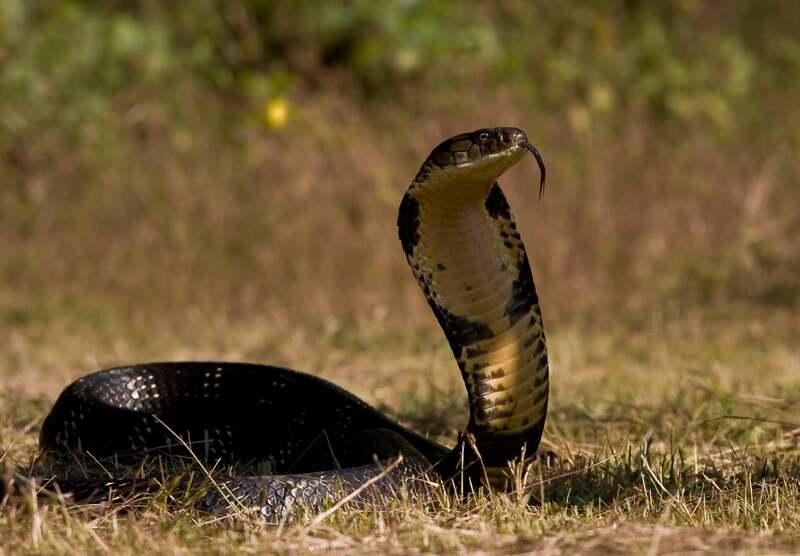 Usually involving spreading their cobra-like neck flap, raising their head as far off the ground as possible and hissing, if this does not deter the attacker, the snake will then strike – not just once, however, but striking and biting repeatedly, each time injecting a large dose of its venom. Black Mamas are also amongst the fastest snakes in the world, which means that they can move across the ground at around 20 kilometres (12.5 miles) per hour, fast enough to see off many would be assailants. My mother-in-law must have come in at Nº 6 – there can be no other explanation for her not being on this list. Just the thought of those fangs and the venom she spits out makes my blood curl!!! The first picture under the Russell’s Viper is actually a blood python. Interesting article. I think it would be neat if you gave venom stats for each of the snakes. Ive heard that the green mamba is supposed to be the most deadly. Is there a difference in the two? The difference between mamba’s venom can vary not just between species to species, but within the species itself, so in some instances, the green mamba could be the more venomous. Generally speaking, however, it’s agreed the black mamba is the more venomous. hi Dan, your choice of the the most dangerous snakes in the world is very subjective. for instance, one can use amount of poison injected , or fastest reacting poison , or most people killed annually by being bitten by a specific snake. 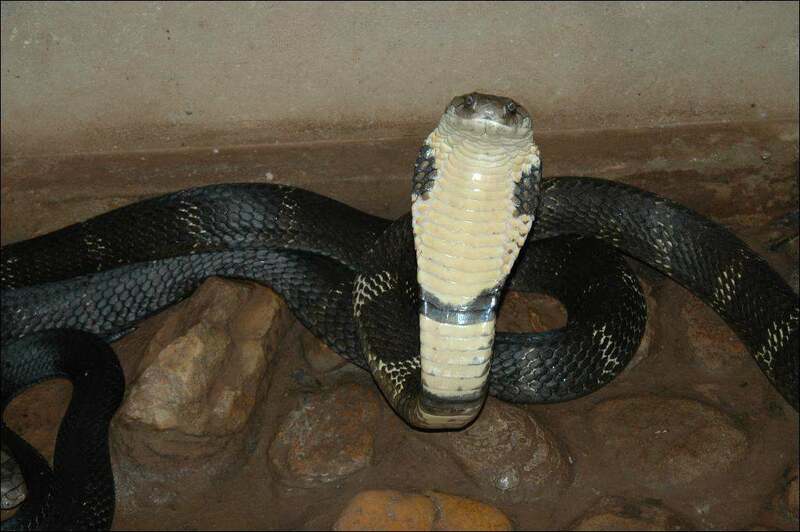 coming from South Africa, although the black mamba is extremly aggressive, and bites repeatedly, from my understanding the Cape Cobra is more poison is more lethal. there are so many versions of “the most venomous snakes in the world” and depending on what yardstick they use, are probibly correct. how did you determine yur list? Definitely, Peter and the list was created to highlight some of the most deadliest snakes in the world. We looked at various factors, from venom through to the number of injuries every year, but as stated, it’s not a definitive list. Are you THE Daniel Smith, the famous herpetologist? As far as I know, Belcher’s Sea Snake and Fierce Snake or Inland Taipan are the most venomous snakes in the world. this list is wrong!the belchers sea snake is the most dangerous snake. from what information i can find, the inland taipan is listed most often as the most venomous snake. however, this is often contested with belcher’s sea snake and the beaked sea snake being mentioned in some lists. like most scientific “facts”, i suspect you’ll find that there is disagreement on the true culprit depending on who you talk to and how they judge venom toxicity. 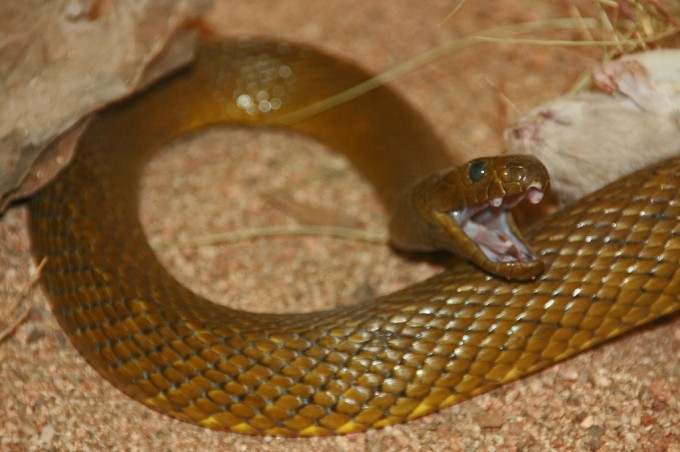 the clinical toxicology resources at the university of adelaide, south australia, list the subcutaneous LD50 of the inland taipan as 0.025 mg/kg, the beaked sea snake as 0.164 mg/kg, and no statistic is listed for Belcher’s sea snake. i can’t find a scholarly mention for the Belcher’s LD50, but have hearsay evidence of 0.78 mg/kg as an average, with readings as low as 0.01mg/kg (i’d take it with a grain of salt, but most LD50 listings are averages anyway…so the taipan takes it unless someone can cite a study with a better value for the Belcher’s). Well I saw a thing on YouTube about the belchers and well it said that the ld50 was 0.001 which is insane!! So I think it is the most venomous, it can kill a snake person in 40 secs! Crazy!!!! I’m glad to see that some people aren’t stupid enough to rank the Black Mamba as #1. Even though I’m only 9; I’ve devoted half my life to studies on snakes. Heck, instead of Ana, most call me Anaconda! 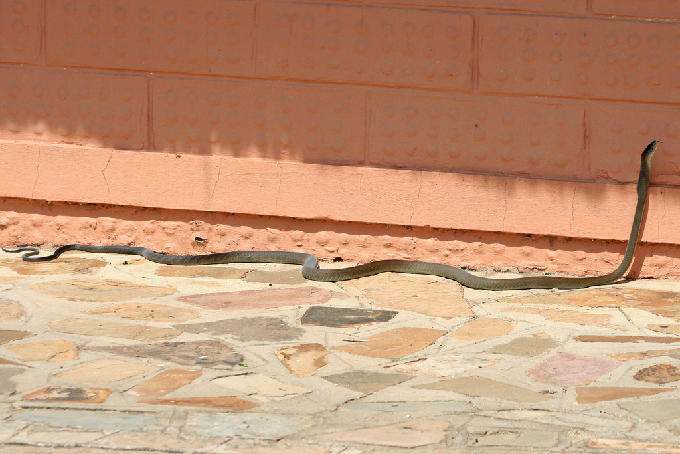 Although listing the Inland Taipan as #1 wasn’t the best idea (A few species of Sea Snakes could take the prize instead) I think your information and pictures are about right. Except you might want to look at your first image for the Russell’s viper. I looks like a blood python to me. P.S., Thanks for saying Venomous instead of otherwise. It irritates me when people say snakes have “Poison”. Amazing. wonderful. some people know that snakes dont go seeking you out to come and kill you. Duh. like, what snake does that? and a rattler lets you know that it is near and you are a threat. some people think of it as a “death threat”. I definitely agree that Belcher’s seasnake is the most venomous. 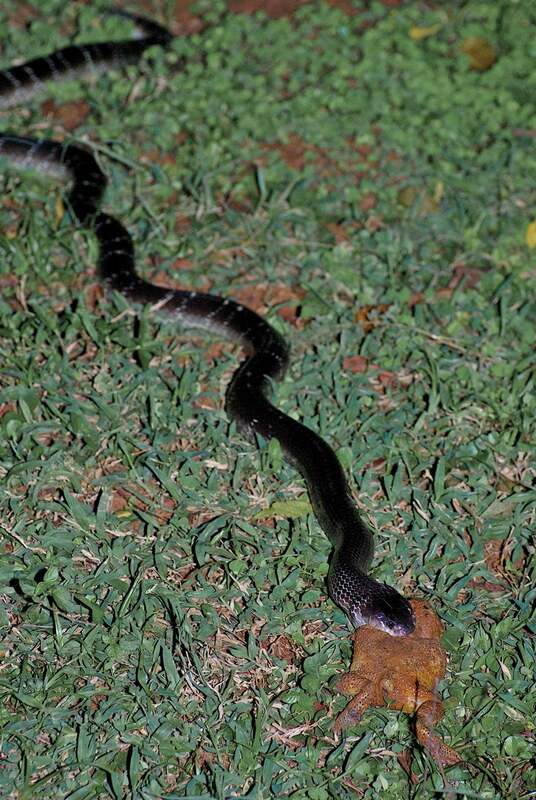 Inland Taipan is the most venomous land snake on the other hand. 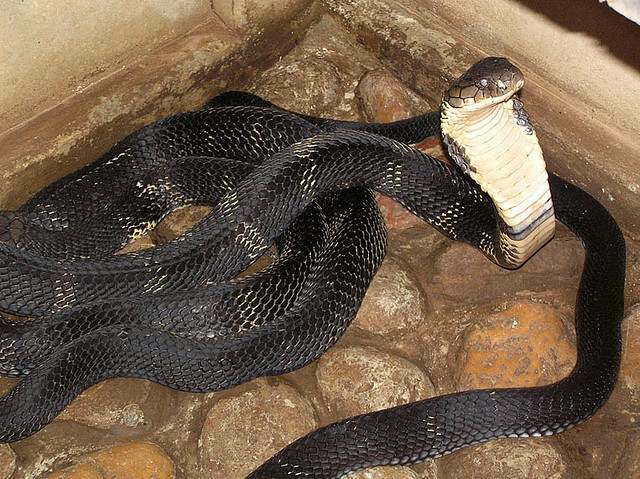 I would just replace King Cobra with Philippine Cobra on your list since it is the most venomous of all Cobra species. I LIKE SNAKES. 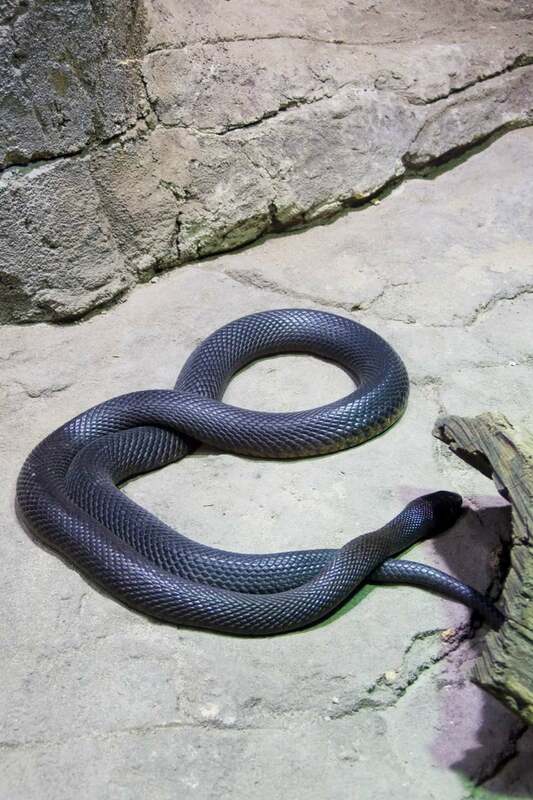 BLACK MAMBAS ARE MY FAVORET. I AM GOING TO CALGERY I,L LIKE TO KNOW IF THARS BAD SNAKES FROM EWAN.